As one of the leading industries in terms of employment (contributing to up to 12% of all jobs), the retail industry’s recruitment challenges, too, are huge. And because retail recruitment is so unique, so are its challenges. Staggering turnover rates, cut-throat competition (for acquiring local talent), and volatile needs (because of business seasonality) — which are just a few of the very many retail recruitment challenges — cost retail organizations millions of dollars each year. And if you run a retail store (or a chain of retail stores! ), the way you handle your recruitment actually impacts your business’s overall profitability. So let’s look at what the most pressing retail recruitment challenges are and a few ways you can use to overcome them. The retail industry is one of the top five industries with the highest employee turnover rate. Also, costing an average of $3,328, the process of hiring and training replacement is expensive — even for an entry-level retail job paying $10/hour. As you can imagine, employee turnover is a very costly recruitment challenge for any retail store. So what causes such high turnover in retail organizations? Sometimes, someone is just not a good fit. At other times, there are better retail job opportunities in closer vicinities (making a switch easier for the local talent). Occasionally, poor managers can also make good staff to quit. But there are a few definitive ways to address this employee turnover recruitment challenge. Here are three you can start with. Understand the reason for turnover. The surest way to bring down employee turnover in your retail store is to plug the “leaks” that cause it. And all it takes to find the reasons your employees leave is conducting exit interviews. Just ask these five simple questions to your retail employees who quit and you’ll uncover insights for reducing such instances in the future. Build a talent retention strategy. Sometimes, your high employee turnover is a direct result of the lack of a retention strategy. You’ll be surprised to know that simple things like adequate career advancement opportunities, generous (yet low-cost) perks, and better company culture can dramatically bring down the employee turnover rate for your retail business. Design incentives that make your top talent stay. Thoughtful incentive schemes can also play a big role in not just bringing down your employee turnover but also in increasing your store’s profitability. Here are some more reasons why employee turnover is so high in the retail sector (and ways for resolving each). Workforce diversity directly influences the profitability of a retail organization. In fact, in the Northeast and Southeast parts of the US, stores with higher racial and ethnic diversity make more revenue — with the gross margin profits being 89% and 87% higher than the stores with non-diverse workforces. But obviously, incorporating diversity is a problem for even the industries that have very mature hiring processes — leave aside the retail industry that doesn’t particularly shine in this area! In addition to increasing sales and revenue, diverse workforce can also help drive innovation. So what does a diverse workforce actually look like? Well, there’s no ideal workforce diversity formulation, but the general idea is that a diverse workforce in retail (and elsewhere) reflects diversity of the customers in terms of generations, races, religious orientations, genders, ethnicities, sexual orientations, abilities, etc. So once you have an understanding of what a balanced workforce would look like in your case, you need to optimize your hiring process so that you attract all the diverse talents you need. Here are three easy things to start doing to attract a more diverse workforce for your retail store. Use neutral language in your job ads. Because your job ads determine “who” applies to your jobs, make them as inclusive as you can. If you value diversity in your team, make sure to say so in your job ads. Use blind hiring. No matter how much we’d all like to believe, unfortunately, hiring processes aren’t free of bias. Bias — in various forms like the beauty bias, intuition, or the affinity bias — routinely creep into the hiring process and pose the biggest challenge to building a diverse workforce. Here are eleven battle-tested ways for blind hiring or bias-free hiring to help you fix this! Create a diverse workforce retention strategy. Sometimes attracting diverse talent isn’t a challenge — retaining is. A lot of companies report that they do successfully attract diverse talents, but often the organizational culture is built only around the more homogeneous group. So watch out for this. Making diversity a core principle in your workplace culture is a good way to go about it. Unlike most of the jobs from other industries, retail jobs don’t necessarily target a particular qualification, educational background or experience. This means people with varied educational backgrounds and experience levels might be eligible. While this is a great thing, it does make identifying the best fits difficult as you don’t have an ideal candidate profile to match the applicants with. Also, because retail employees are always interacting with customers (in different capacities), so more than anything else, they need to have excellent customer service skills. And customer service skills are quite difficult to evaluate. Sadly, there’s no sure way of tackling the first part of this challenge. But you can certainly get better at evaluating your candidates for the desired skills. Just check out this customer service skills evaluation guide, and you should be set. You’ll be surprised to know that a survey of more than a million employees established that the #1 reason people leave their jobs is that of a bad boss or immediate manager. This is true for the retail space, too. Hire and train managers that your employees don’t want to get away from. Hire better store managers. When it comes to hiring store managers, a lot of retail businesses only look for organizational skills. While organizational skills are a pre-requisite for a candidate to excel in a managerial role, they may not be enough (as managers need to be great at managing people as well). So when hiring managers, evaluate them for a few of these “people” skills as well. Train managers to become better at their jobs. Micromanagement, overly harsh criticism, poor management are common traits of bad managers. So, see if you can make provisions like training days, online courses, or workshops to improve the skills of your store managers, so they get better at their jobs. Make your managers “Doers.” A common pet peeve of most retail employees is that the managers don’t do any work — as in, they aren’t active on the sales floor or in the logistics. So, find out if you can help your managers actually engage in the work (as opposed to just managing). This is important because when your retail employees see a very active manager, they feel inspired to do their best work! Seasonality is common in retail businesses. Some businesses get more sales before Christmas, while others during the summer. Which means, the staffing needs of retail businesses are quite volatile (although you can reasonably estimate the number of “extra hands” you’ll need to survive the rush and make the most revenue). This seasonality poses a big recruitment challenge for retail stores as it needs a specialized type of hiring called “high volume hiring.” High volume hiring basically means hiring multiple employees over a short period of time. Sometimes, this high volume hiring recruitment challenge gets worse if the regular retail employees (who aren’t so used to the increased volume of work) end up quitting because of it. Also, because the business of all the stores raises during these periods, the competition for local talent gets super-high during these times. According to Snag, most retailers faced lack of qualified and available workers, as well as competition with other employers in the 2018 holiday season. While it’s not easy to overcome this retail recruitment challenge, it sure isn’t impossible. We’ve published an in-depth guide on beating the seasonality retail recruitment challenge here. Check it out now and you’ll be well on your way to snag the best local talent for your store during all the busy seasons this year. Learn actionable tactics for creating a seasonal hiring plan, writing winning seasonal job ads, targeting the right demographics, and much more. When it comes to the retail recruitment game, the same talent is available to all the stores that are located in the same area. Unless you find ways to actively build and engage a local talent base, you’ll miss out on the best of the best. Here’s how to win the best local talent for your retail store. Keep building your talent pool. Use tactics like signing up your customers for job alerts (with permission, of course! ), holding local hiring events, and social networking to build your talent pool. Monitor the growth of your talent pool and the quality of the candidates getting added to it. Engage your talent pool. Your local talent pool will be useful to you only IF the candidates feel engaged and enthusiastic about working with you. Use channels like emails and SMS to keep in touch with the potential resources in your talent pool. Routinely tell them about the perks (such as discounts on the store merchandise and more) that your employees get. Optimize your jobs listings for better local rankings. Because local talents perform hyper-local job searches, you must optimize your job listings to rank better for any keywords that hint at local retail job ad searches. Whether we like it or not, commute distance has an influence on employee retention. That’s why hiring locally is a good way to hire long-term employees, even if that means competing for them. Because most of the big retail organizations have multiple stores, this adds one more dimension to their hiring. Hiring for multiple stores is challenging as lots of times these stores (which are often franchises owned by different people), don’t have a centralized hiring process. This lack of a central hiring process means (mostly) that each store handles its own hiring. Now, because it’s not feasible for every retail outlet of a company to have an HR resource on site, this hiring is often done by the store’s manager, who may not excel as a recruiter. Try to establish a structured hiring process. Now, it might not always be possible to establish a centralized hiring process across a chain of stores, but you can try to give it certain structure. Start off by using a centralized tech stack that supports multi-location hiring. By simply using the same ATS or/and pre-employment assessment platform, you’ll be able to standardize a big part of your recruitment process. Also, ask your in-house recruiter to create a hiring playbook and distribute it among all your stores. Offer training to your store managers. To improve your store manager’s recruitment skills, get them to do a few recruitment courses. If possible, arrange for them to attend recruitment workshops focused on retail recruiting. Or at the very least, give them a few great books on hiring. Make hiring help available. If you find that your store managers routinely struggle with recruiting, consider engaging recruitment consultants to help them on site. Arranging such recruitment assistance won’t just improve the quality of your hires but will also be cost-effective. As you might have realized, some of the retail recruitment challenges that you’re facing have quick fixes. For instance, arranging a few workshops for your store managers can help them become better managers. 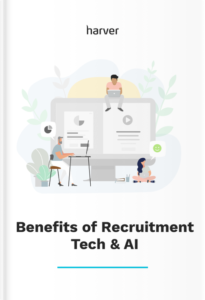 However, the recruitment challenges like preparing for seasonality and hiring for higher diversity are more serious and don’t have any immediate solutions. To resolve these high-level retail recruitment challenges, you need more than a bunch of recruitment tactics and tips. What you need is a retail recruitment strategy that factors in these and more. Here are some great tips for building a winning retail recruitment strategy for 2019, in case you need inspiration.